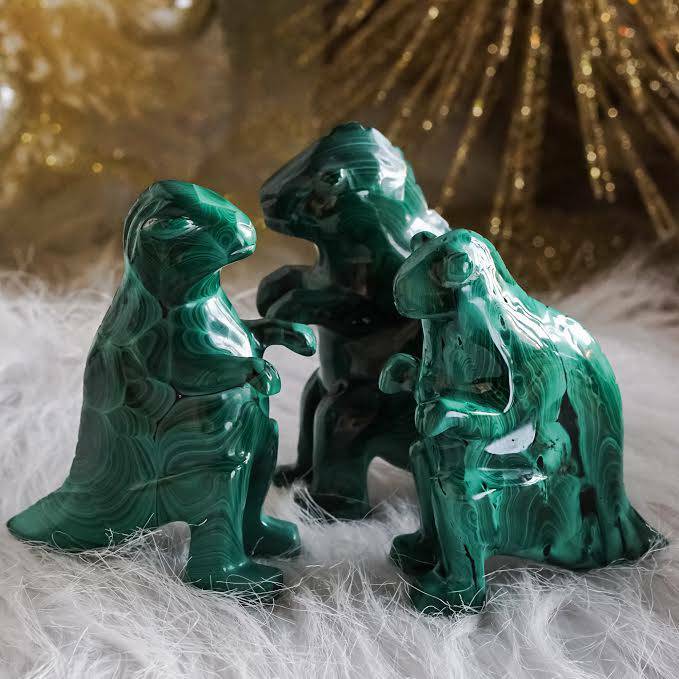 For our March Month of Magic, Sage Goddess is proud to offer this exciting new addition to our magical wellspring, a beautiful Dagaz and Othala Rune Set. We have greatly expanded our knowledge of runes throughout the past year, and it’s bittersweet now to announce that we have reached the final set. It has been quite the journey! Runes have been used in many magical ways since the beginning of recorded history. They’re a primordial form of psychological assessment, and were cast and read by oracles in the same way Tarot cards or the I Ching are used today. Runes are derived from the ancient Celtic and Viking alphabet, and traces can be heard in modern German. However, Runic was probably never a spoken language. From their earliest inception, runes were used as a magical and ritualistic form of communication. Runic deciphering was an elite language for magical practitioners. This month we decipher two runes: Dagaz and Othala. Dagaz, the rune of enlightenment, is a symbol of change. A new beginning is near, as you emerge toward the light and shed the darkness of your past. This rune also serves as a reminder to trust in your abilities. Othala, the rune of ancestral knowledge, is a symbol of unity between your inherent wisdom and your present. Although it is wise to honor ancestral knowledge, it is equally important to expand toward a collective future and lead the new generation forward. First in this set is a pair of wooden tealight holders carved from maple and etched with the runes of Dagaz and Othala. 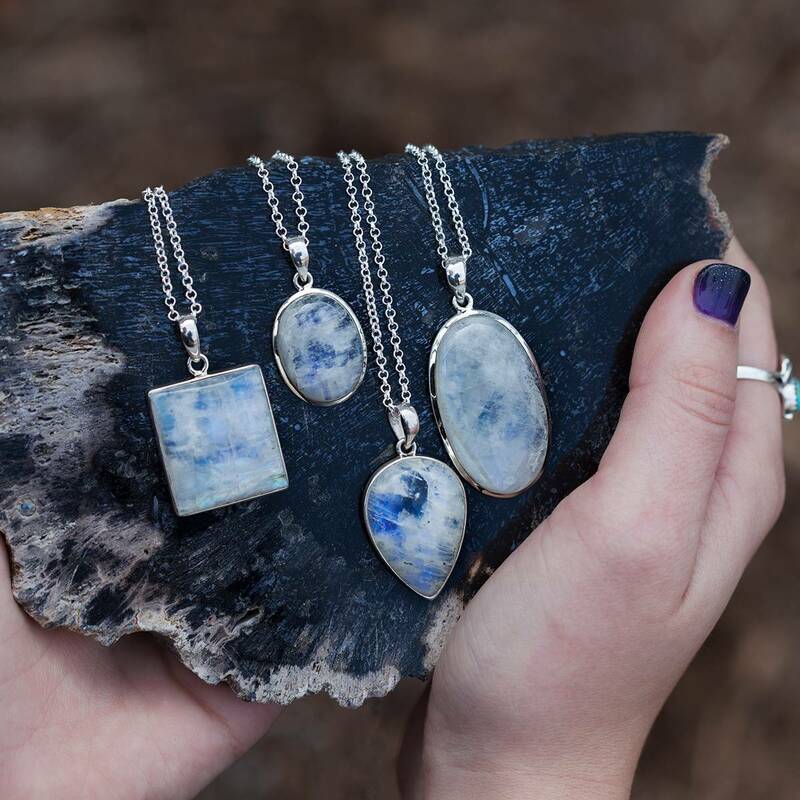 You will love incorporating these beautiful treasures into all of your ritual work. You will also receive 1 tea light per rune in an organza bag. 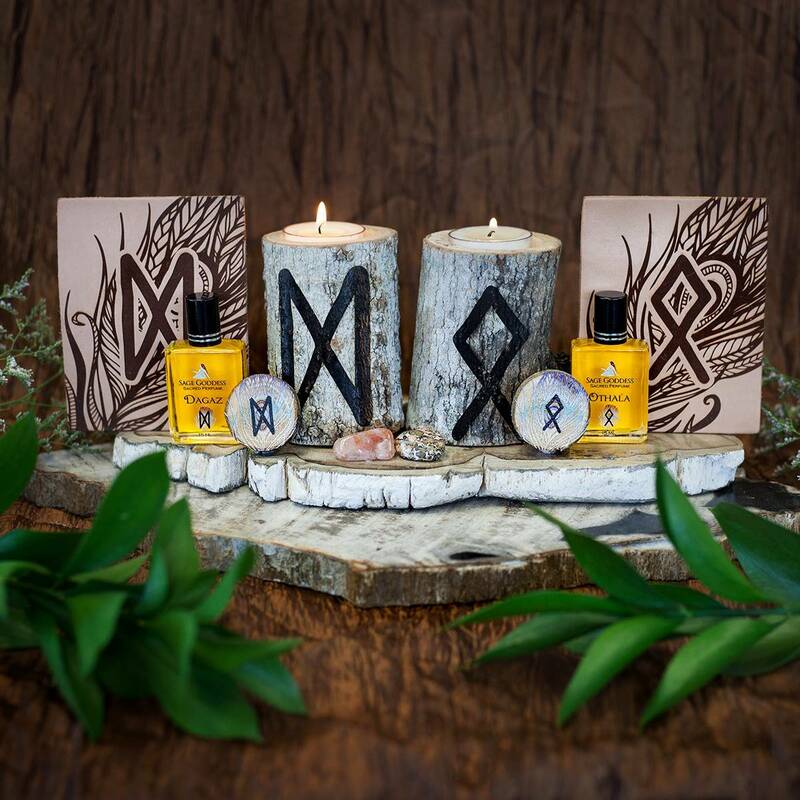 After that, you’ll receive two wooden runes (made of sassafras or maple) printed with the symbols for Dagaz and Othala, about 1-1/2″ in diameter. Your pair of runes include a leather card describing their meanings. Please note that this is genuine leather which will age and change over time. Next, you will receive a duo of Dagaz and Othala perfumes. My Dagaz perfume has notes of bergamot, an uplifting yet calming essential oil that provides mental clarity; lemon balm, to light the way to reawakened hope and joy; opoponax for spiritual revelation. My Othala perfume has notes of rosemary, for ancestral connection; pine, a clarifying and cleansing essential oil that energizes the mind; cedarwood for ancestral knowledge. Both perfumes come in 15 ml square bottles, and are infused with clear quartz chip stones to amplify their properties. Lastly, you will receive two stones: a piece of sunstone in correspondence with Dagaz and a piece of leopardskin jasper for Othala. Sunstone is the stone of leadership and the sun’s radiance. It inspires you to take action and own your desires. It also prompts creativity and brings energy to new ideas. Leopardskin jasper is the stone of shamanic journeying, finding and connecting with animal totems, healing, heightening wisdom, and making ancient spirit connections. ***Note: This product is made with natural essential and carrier oils, and may contain fragrance oils. Cap color, chip stone, and color may vary slightly. For external use only. This listing is for one (1) March Month of Magic Set of Dagaz and Othala. You have the option of purchasing both kits at a significant discount, each kit separately, or an individual tool, as you feel called. Choose your offering from the drop down menu above. Your March Month of Magic Set will arrive lovingly parceled for your enjoyment.